Raj Kumari demonstrates the traditional Indian 'jali,' or cutout technique to create a box with soapstone's natural colors. 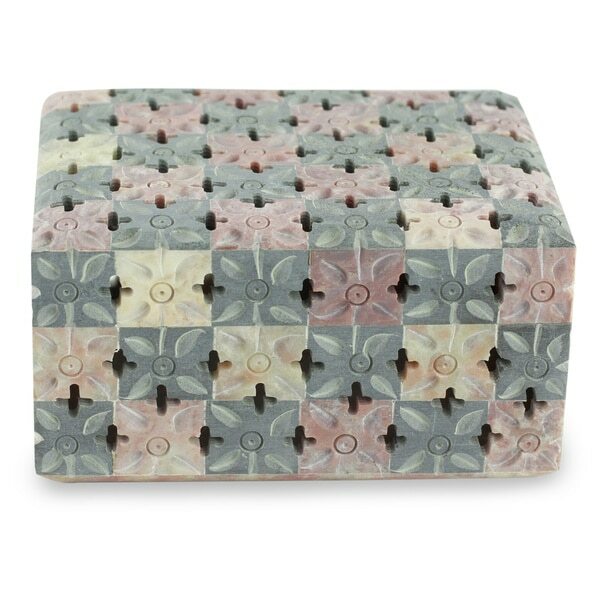 Working in the style of Agra, home of the legendary Taj Mahal, she creates a petite decorative box with a colorful patchwork look. Hello cmandel, this item is multi-colored. Thank you for shopping with us.